Maia Luxury Resort is 1 minute walk from the beach. 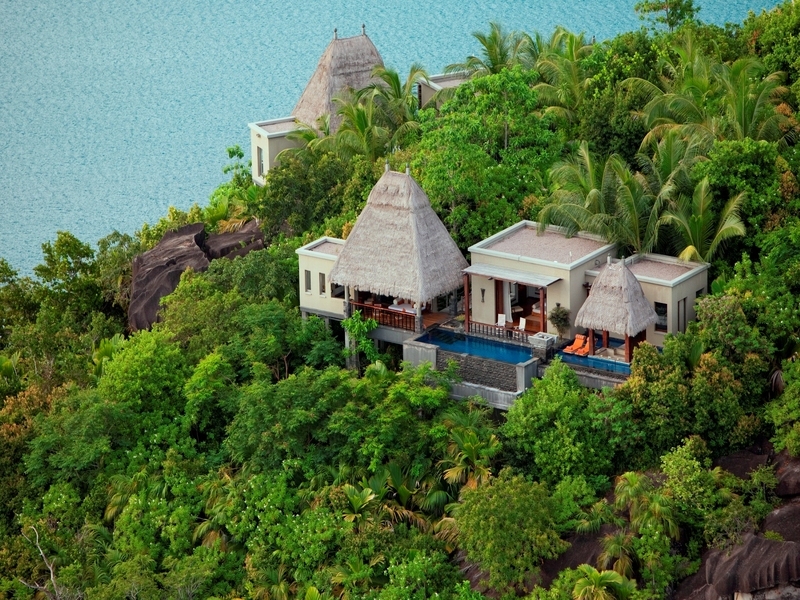 Surrounded by award-winning landscaped grounds, this luxurious resort on Mahe features air-conditioned villas overlooking the Indian Ocean. The hotel has a gourmet restaurant and a spa center. A private infinity swimming pool, free Wi-Fi, butler service and an iPod docking station are standard in each of Maia Luxury Resort’s villas. They have a kitchenette, an outdoor gazebo and a deck. Guests can enjoy a candle-lit dinner on the beach or arrange a private BBQ on the terrace of their villa. Tec Tec restaurant serves gourmet cuisine, and is flexible to prepare dishes outside of set dining hours.